Etiquette states that the best way to communicate an adult-only wedding is by properly addressing the inner envelopes of your wedding invitation. What’s an inner envelope? Good question. An inner envelope holds the invitation ensemble and is tucked inside the outer mailing envelope. The sole purpose of the inner envelope is to address, by name, each person invited to the wedding. However, not all wedding invitations come with both an inner and outer envelope anymore and guests are no longer accustomed to looking at the inner envelope to know who is invited. You might think the next step is to address it on the wedding invitations but proper wedding invitation etiquette does not approve of mentioning “no children” in the wedding invitation wording. 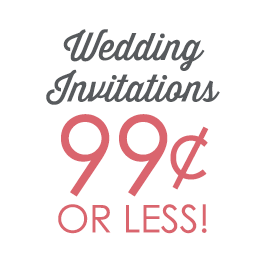 The invitation’s wording is meant to communicate all the basic details guests need to know about your wedding. 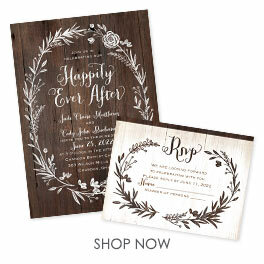 Anything more can add clutter and confusion, and you want to keep your wedding invitations as pristine as possible. What’s a couple to do? Go ahead and be straight-forward. Perhaps you prefer a gentler approach. We’ve reserved [X] seats for you! If you’d like to get a little more creative or detailed with your wording, we suggest using the reception cards to share the message. Be lighthearted if that’s your style. an adults only kind of day. a relaxed evening with friends and family! are not able to attend.